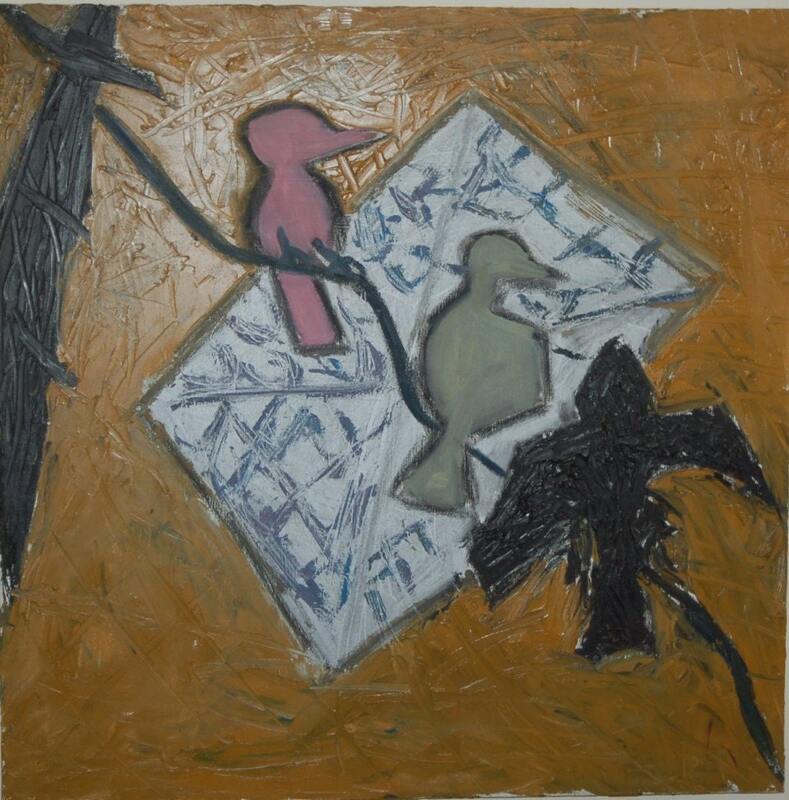 Original oil on canvas by Scott Torkelson, Birds on a Wire. The birds view. I believe there is paint stick on here also, the metallic gray. It is 30"x29 3/4" x 1" deep. It is signed and dated, 1989.